Warm, summer days are a great chance to enjoy time on the beach or a picnic in the park. Wherever you decide to go – we have selected some fresh healthy snacks, which can also supply you with fluids – a real bonus on hot summer days. Experts recommend, that you should drink at least two to three liters of water per day. Because you lose a lot of fluids through perspiration, this requirement is increased in the summer. Fortunately, drinking is not the only option, as around 20% of your water intake derives from what you eat – fruits and vegetables especially, can contain a large amount of water. You can also easily transport the healthy snacks in small containers, in a cool bag or a cool box – but they shouldn’t contain too much fat or salt. Fresh green salad with cucumber, is very refreshing and really filling. It has the advantage that you can eat large amounts of it, without worrying about counting calories. Cucumber is composed of 97% water – putting it right at the top of the list. 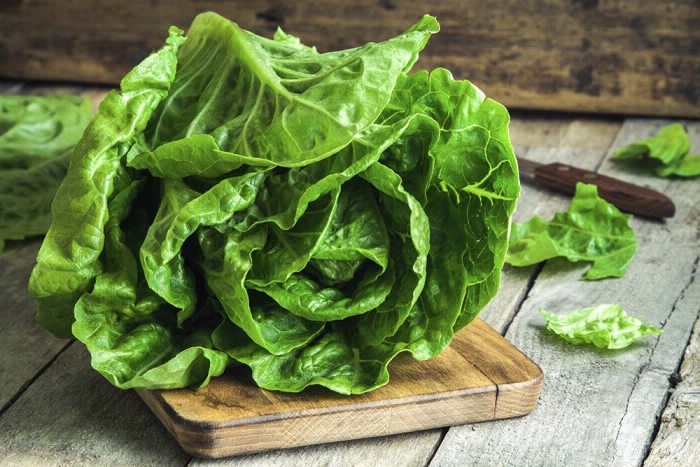 You can also enhance your salad with some iceberg lettuce and celery – they both consist of over 95% water. Radishes are a refreshing source of antioxidants, and are composed of over 95% water. Crunchy radishes alone are a delicious snack to nibble on, but they are great to enjoy with small cherry tomatoes (over 94% water), a little mozzarella and basil leaves, drizzled with olive oil and oregano. Healthy snacks can be so delicious! Of all fruits, watermelon is way ahead of the pack when it comes to maximum possible water content – which after all gives it its name. The refreshing red fruit is composed of over 90% water, and it is also rich in important antioxidants that promote cell regeneration. Prepare a small container with Cantaloupe (melon) (over 90% water), papaya (over 88%), pineapple (87%) and diced watermelon. A really healthy snack for the summer, which you can eat lots of without having to feel guilty. Despite their hard consistency, carrots are composed of over 97% water, and are rich in beta carotene, a natural skin protector that helps you get brown healthily. Simply peel them, and pop the carrots in a cool box. You get something to crunch on – and they’re much healthier than those fatty potato chips.